Home / Calculators / Who Gets Custody ? This is the product of some brainstorming. This child custody tool is based on some factors we think are important. The result is based on a secret custody formula, only found in our heads. Take the results with a grain of salt. A child custody decision, and designation of the majority parent (primary residential parent) is based on hundreds of facts. I hope you find this tool useful as a quick guess on who would be designated the majority parent (primary residential parent). Child custody is an important issue and can affect your future as a parent. The Divorce Center can provide a custody attorney that can help you achieve your goals. A lawyer is not an expense in a child custody case – they are an investment. We help clients in Orange County, Hernando County, Pasco County, Pinellas County, and Hillsborough County. Our service area includes Orlando, Tampa, Clearwater, Largo, New Port Richey, Brooksville, Dade City, and the New Tampa area. Why is the term majority parent used on this page? Several years ago Florida revised the custody statutes and eliminated any reference to “primary residential parent” and “secondary residential parent.” Now, attorneys and judges use substitute terms such as “majority parent” and “residential parent.” You may hear other descriptive terms in your case. But they all boil down to the same concept. How does the prediction affect my child support ? Custody was already determined in a previous court case. Can I easily change custody? That is easier said than done. Once a court makes a permanent determination, the standard for changes becomes much more difficult to achieve. Does that mean that custody can never be modified? Once custody is established in a Florida court, neither parent can move more than 50 miles from the other without consent. When a parent wishes to move with the children, he or she must file a petition with the court, to which the other parent has a specific period of time to contest. Understanding how a custody attorney can help you will allow you to move forward for the best possible outcome. Even an uncontested move can benefit from the assistance of a custody attorney. Whenever one parent moves outside the 50 mile distance, the typical custody arrangements will no longer work. Therefore, it is essential to create a plan that will allow the noncustodial parent to utilize as much time as he or she previously had over longer, less frequent periods of time. An attorney can help you draft up a plan that is in the best interest of the child and fair for everyone. Contested moves are decidedly more complicated than uncontested moves. In these situations, the case is more likely to go to court for a judge to decide. This means each party must prove why their decision is in the best interest of the child. The judge will not care whether a parent has a new job, is getting married or anything else that doesn’t have a direct, positive impact on the child. A qualified custody attorney can help his client prove that his or her choice is best for the child. The decision to relocate in Florida can have a great impact on the custody of any children shared by the two parties. This is why it is so important to hire a custody attorney, regardless of whether the move is contested or uncontested. An experienced attorney can assist with creating a good parenting plan that is fair to everyone, as well as help those who wish to fight for or against the relocation. If you are in the process of asking for or fighting against a relocation, contact us. 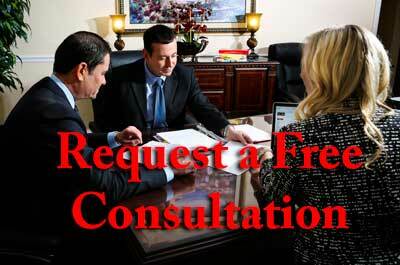 Our qualified attorneys can help!